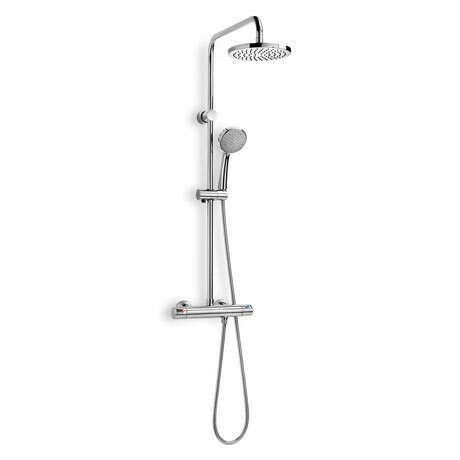 The Victoria Thermostatic Shower Column is a versatile shower that is easy to install and offers many benefits including an eco option for rinsing. It's round design and attractive chrome finish makes it an ideal addition for all contemporary bathrooms. The shower is treated with EverShine, a special coating that is anti-limescale and repels stains and scratches.